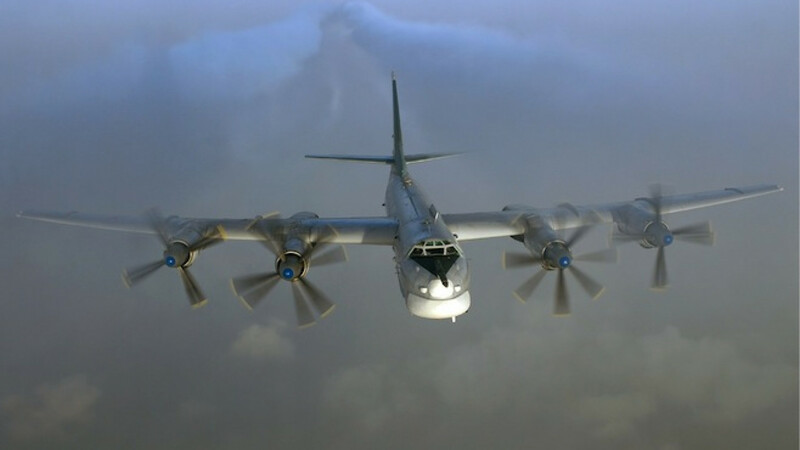 Europe has reacted with alarm to Russian bombers flying down the English channel, over the Baltic Sea and crossing civilian flight paths during the past year. The upsurge in Russian aerial activity has come amid fighting in Ukraine that has seen relations between Europe and Moscow fall to a post-Cold War low. 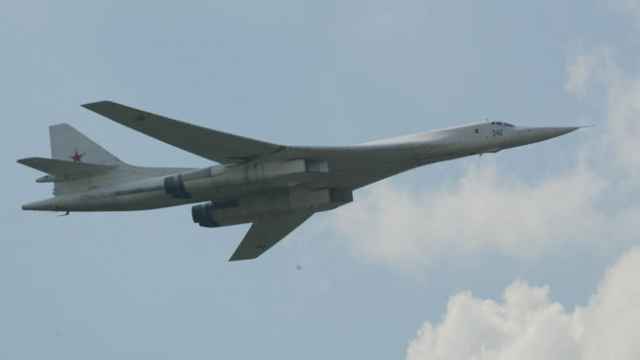 Russia is using the flights to project the image of power, but are the Soviet-built bombers really a military threat? Yes and no. The primary military task of aerial patrols over Europe is to probe the continent's defensive tactics and reaction time, analysts told the Moscow Times. This intelligence gathering is not necessarily in preparation for strikes on Ireland, but rather to understand the air defenses of the 28-member NATO alliance and get an idea of the best directions from which to attack if war broke out. If the bombers were used to strike European states they could inflict damage, but would be technologically and numerically outgunned by a NATO response, the analysts said. The Moscow Times asked air warfare expert Thomas Withington what a Russian strategic bomber attack on Europe might look like. Withington is a contributor to the academic journal Asian Military Review, and has previously worked as a research associate at King's College London. His scenario was not developed with any information leaked or provided by Russian or Western military officials. Wings of Russian Tu-160 supersonic strategic bombers, Tu-22M3 supersonic bombers, and Tu-95 propeller driven bombers would take off from Engels air force base, west of the Ural mountains, and head north west toward their targets. Armed with long-range cruise missiles, escorted by MiG and Sukhoi fighters and backed by electronic warfare planes, the bombers would enter firing range of key strategic NATO targets in the Baltics within an hour of takeoff. The Russian planes would seek to minimize exposure to NATO air defenses by approaching the Baltics along various routes. They could begin firing missiles while still inside Russian airspace, 600 kilometers away from their targets. NATO would likely be alerted to the danger when Russia's electronic warfare aircraft began blasting electronic noise at the Baltic air-defense zone to confuse ground-based radar stations. Russian bombers would strike at air surveillance radars, air defense command centers and communications infrastructure. Smaller tactical aircraft such as the Sukhoi Su-34, armed with anti-radar missiles, would join the attack, striking radar stations in Norway, Denmark, German and even non-NATO members such as Sweden and Finland. Ground-based anti-aircraft batteries in the Baltics would also be targeted. NATO would scramble Rafale, Eurofighter, and F-16 fighter jets to respond. Even if launched as soon as the alliance realized that Russian bombers were heading toward the European Union, it would be difficult to stop the first volley of Russian missiles, depending on where the strikes are conducted. Once those missiles were fired, Russia's planes would be designated belligerents and NATO fighters would be free to pursue them into Russian airspace. 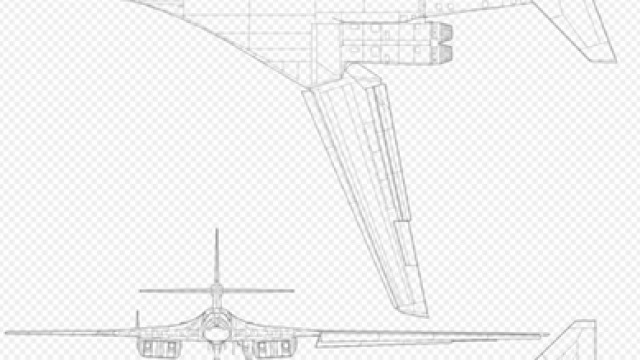 However, the high-speed of the Tu-22M3s and Tu-160 supersonics would make intercepting them on their way home difficult, and Russia could easily provide a fighter screen to protect them. Dogfights between Russian and NATO planes would begin, and Russian bombers would start preparing a second wave. NATO would meanwhile be trying to restore its radar coverage in preparation for an aerial counter attack. Russia's second strike would seek to knock NATO back to bases further away from Russian territory by hitting the alliance's infrastructure close to the Baltic battleground. This would increase the time needed by NATO to strike Russian aircraft and make it harder for the alliance to regain control of the air. If Russian planes were able to fight off NATO's Rafale and Eurofighter counter attack, Moscow would control the skies. Russia's next move would be to disrupt NATO ground and naval forces that would be engaging Russian troops moving into the Baltics. This would mean hitting forward deployed concentrations of NATO troops, taking out NATO naval command and control facilities and ships, and even hitting supply depots and factories. At this point, Withington said it becomes exceedingly difficult to predict what would happen. He said it was likely that if neither side had convinced the other to back down by this point in the conflict, a nuclear escalation could be considered. But despite the saber rattling over the crisis in Ukraine, he said neither side would be likely to press the nuclear button. 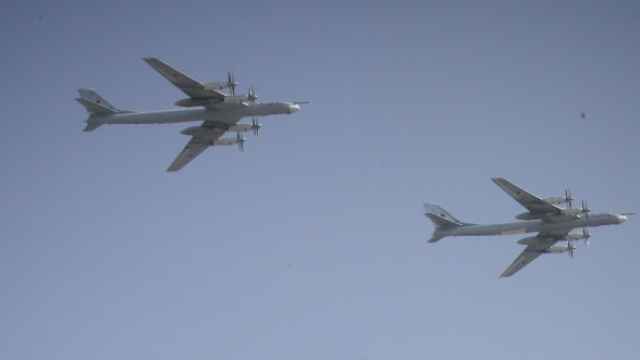 The Russian planes buzzing Europe are Tu-160, Tu-95 and Tu-22M3 strategic bombers, designed to deliver nuclear bombs or conventional cruise missiles to targets deep inside enemy territory. The planes are often accompanied by smaller fighters and strike jets. Nations along their flight paths have accused Russia of practicing hostile maneuvers, such as an alleged mock cruise-missile strike on targets on the U.S. last September during the NATO Summit in Wales, and a mock bombing run on Denmark, according to Danish news site thelocal.dk. Flights around the British Isles and along the United States coast appear to have followed Soviet-era nuclear bomb delivery routes. But the planes aren't primarily hunting for targets. They are flying in small formations, sometimes without fighter escorts. No serious attack with bombers would take place in such small numbers. Instead, the aim is to provoke intercepts from NATO forces around the alliance's periphery, said Tom Withington, an independent air warfare theorist and military analyst whose work appears in defense journal the Asia Military Review. "What Russia currently does with NATO is effectively to test reaction time of air defense. You fly a Tu-160 across the Bay of Biscay and you wait to see at what moment the [British] Royal Air Force and the French air force react," Withington said. "You sit and wait, you fly along and check your route, and you measure the response times of those air forces. Also, you try to get an idea of what electronic defenses are arrayed against you in that area by listening and recording details on when you get painted or illuminated by radar," he added. That information could be used to identify the best way into NATO's air defense zones if a war began. NATO airspace is heavily monitored and defended, but no defense is perfect and there will be holes. Russia's aerial military tactics have not changed much in 50 years. If Moscow tried to use its bombers in a non-nuclear attack, the fleet's first task would be to destroy key strategic targets on NATO territory. The type of bomber strikes would depend on the Moscow's specific combat goals. These attacks would take place from a distance, with bombers firing cruise missiles from up to 600 kilometers away from their targets. Waves of air strikes would be used to soften up the enemy for ground and naval forces by hitting critical infrastructure, such as communications, command and control, supply depots and factories, said Vadim Kozyulin, a military analyst at the Moscow-based PIR Center think tank. But Russia would quickly run into logistical and technological limitations during such an attack. The scale of any Russian bombing campaign is limited by the size of its air force, which only has 16 Tu-160s, 60 Tu-95s and 60 Tu-22M3s, according to Douglas Barrie of London's International Institute for Strategic Studies (IISS). To keep bombers flying continuously requires constant rotation of planes, and the equipment would quickly wear out, said Ruslan Pukhov, director of the Moscow-based Center for the Analysis of Strategies and Technologies (CAST), a defense think thank. Russia's bomber fleet is of Soviet vintage. Only one new aircraft, a Tu-160 supersonic bomber, has rolled off assembly lines since the fall of communism in 1991. Russia is also facing a bottlenecks in production of replacement components, particularly engines. Only 10 engines for the Tu-95 Bear are produced per year. The more the planes fly, the faster they break down, and the more components are needed to keep flying — It is a vicious circle, according to Pukhov. Moscow has enough of a fleet to maintain a baseline strategic bombing campaign even with those shortcomings. But Russian bombers would also face resistance from NATO, which has technologically superior fighter jets and air defenses. Russian aerial attack groups would be vulnerable to Rafale, Eurofighter and F-16 fighters and other equipment scrambled to intercept and destroy them, such as surface-to-air missiles. NATO missiles and air strikes could also begin to counterstrike against military infrastructure inside Russia. The Western alliance also has more equipment. According to Kozyulin, NATO is 6 times more powerful than Russia in terms of conventional arms, a sharp reversal from the numerical advantage enjoyed by the Soviet Union throughout the Cold War. Russia is working to narrow the technological gap, according to IISS's Barrie. "All of the bombers are subject of ongoing modest upgrade programs to improve their operation capability," he said. Their armaments are also receiving upgrades, such as the new Raduga Kh-102 cruise missile, which can be nuclear armed and will be carried by the Tu-160 and Tu-95s. Any Russian attack would have to be smart and aimed at the weakest points of NATO's air defense network to offset this weakness. But even if Russia was able to degrade a part of the alliances defenses with early bomber strikes, there is enough overlap built in to have other areas fill in the gaps, according to Withington. But Kozyulin stressed that neither side really thinks it will fight the other. "Russia has no chances to win," he said. "The flights and other maneuvers are just demonstrations that we are not weak."